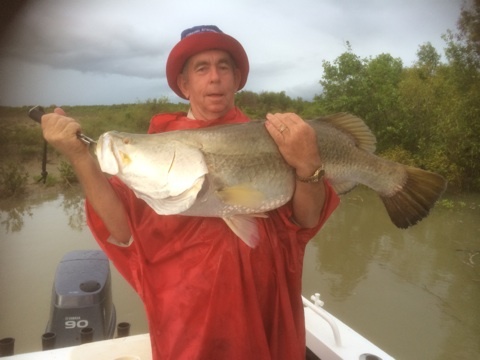 Peter Hutchinson and his mate contacted me very upset that another tour guide had rang them the night before and cancelled there barra fishing trip which they had booked several months before hand. 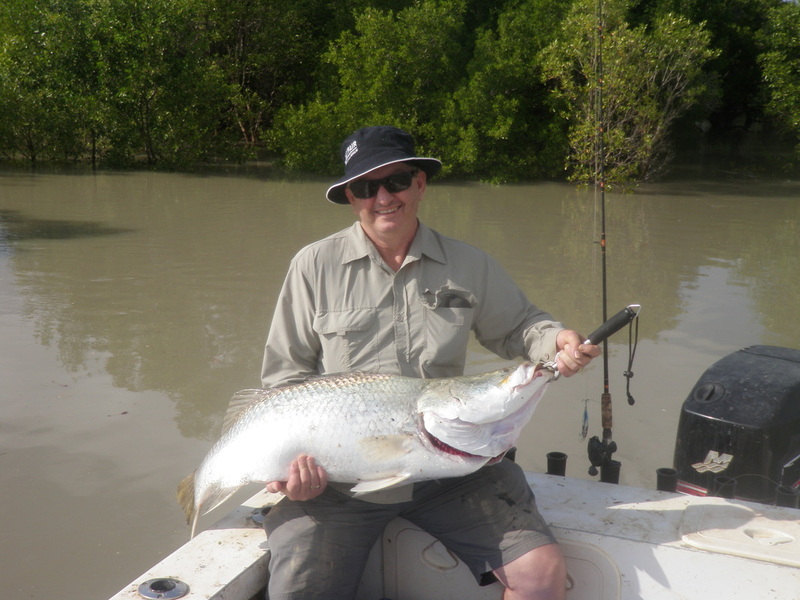 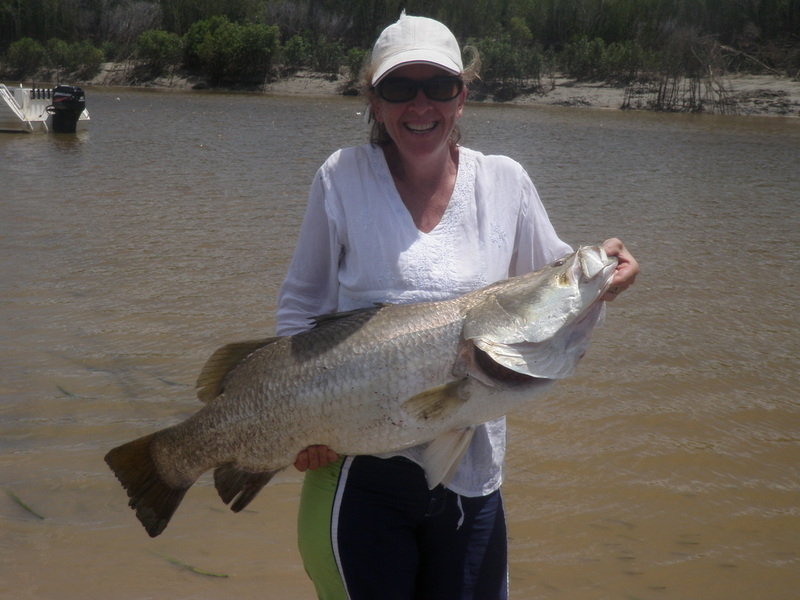 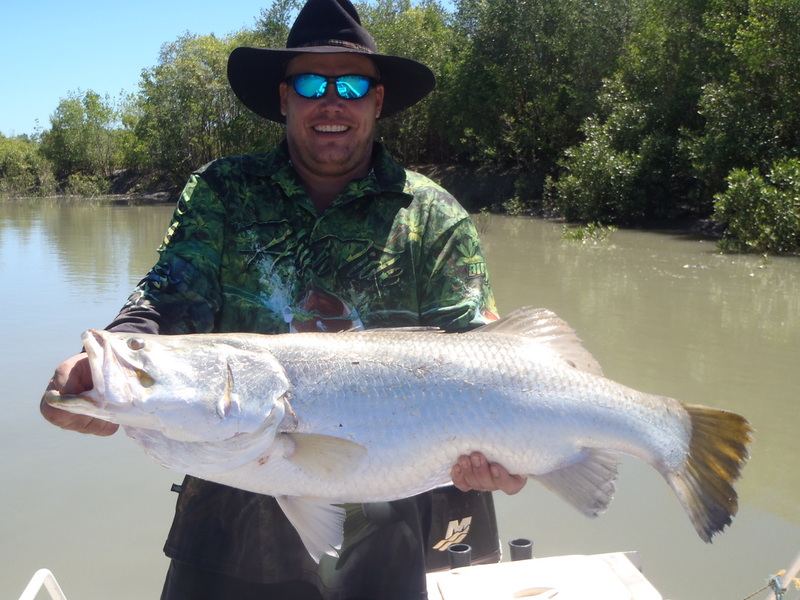 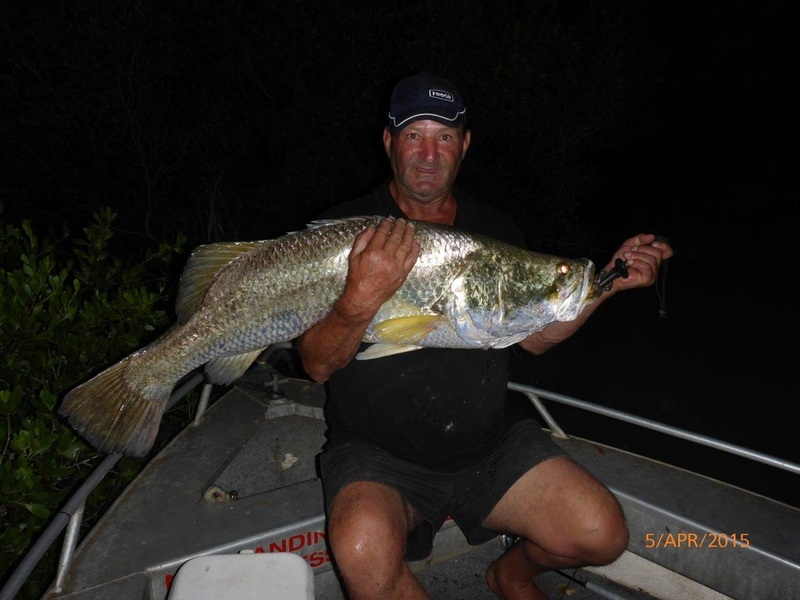 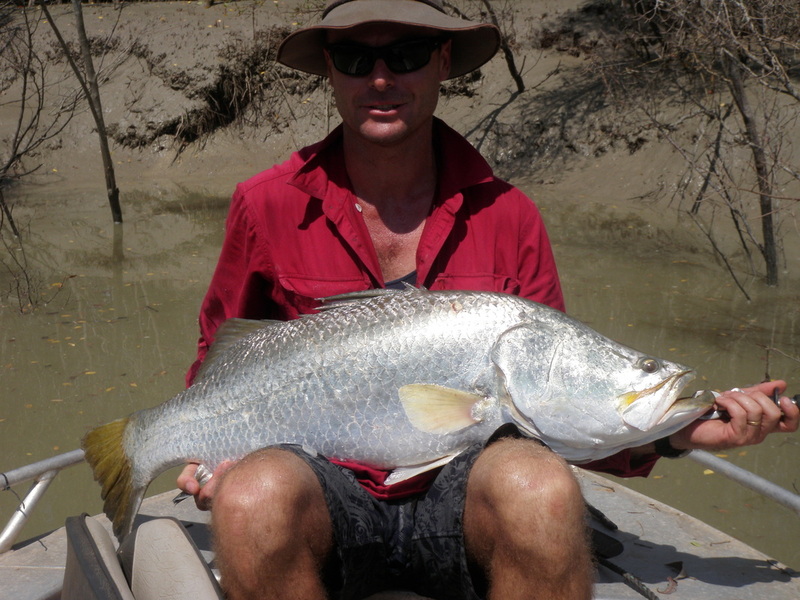 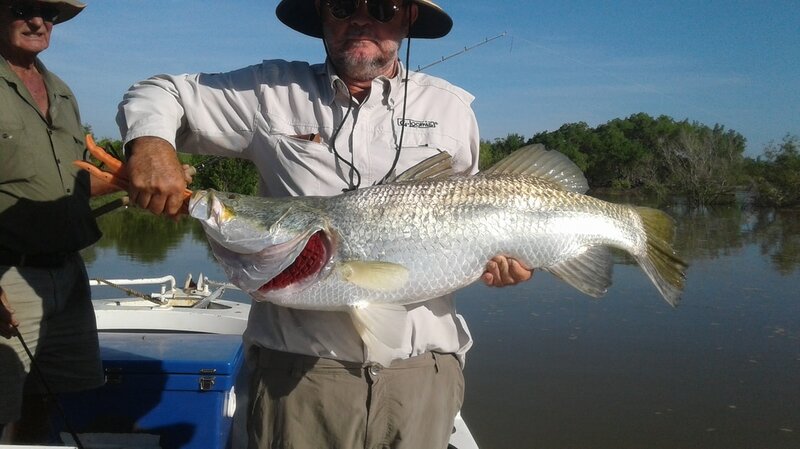 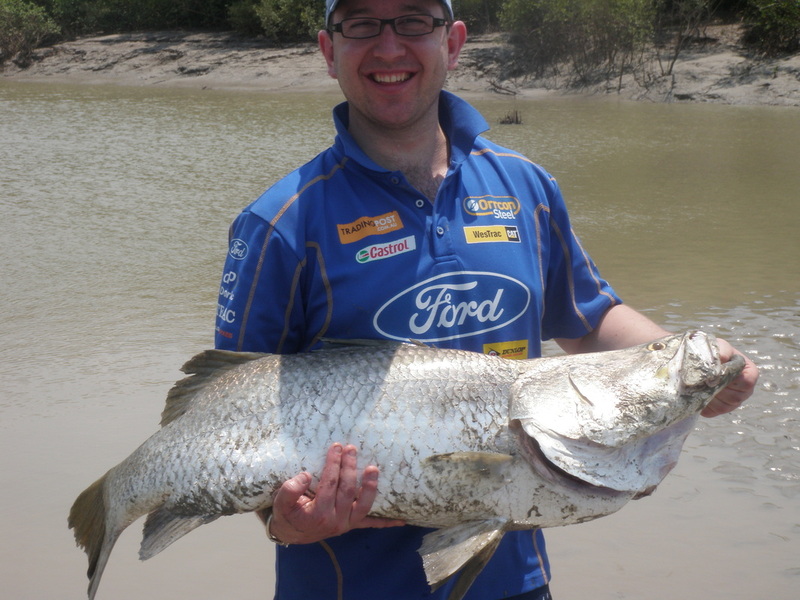 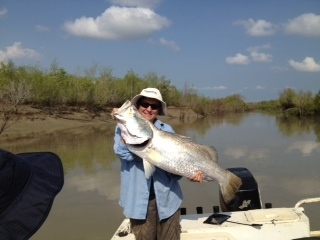 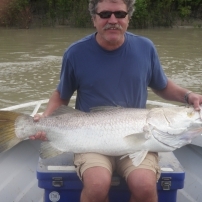 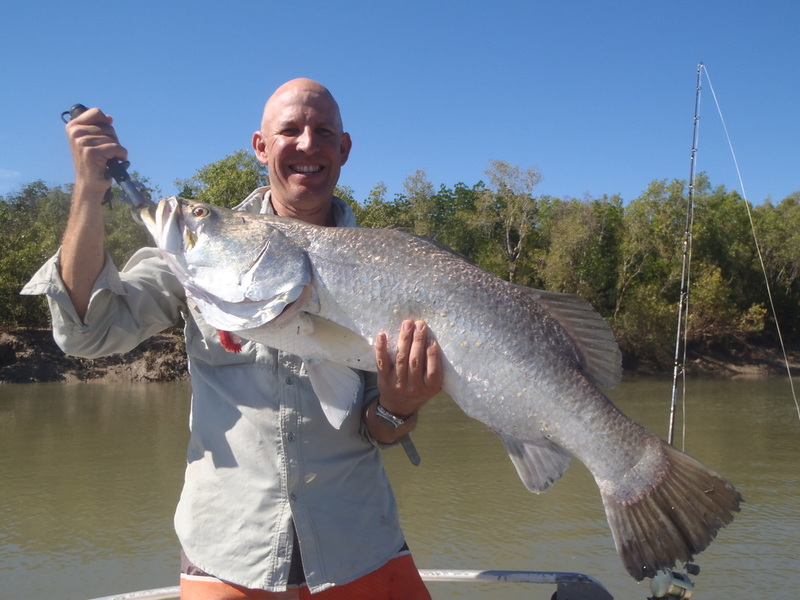 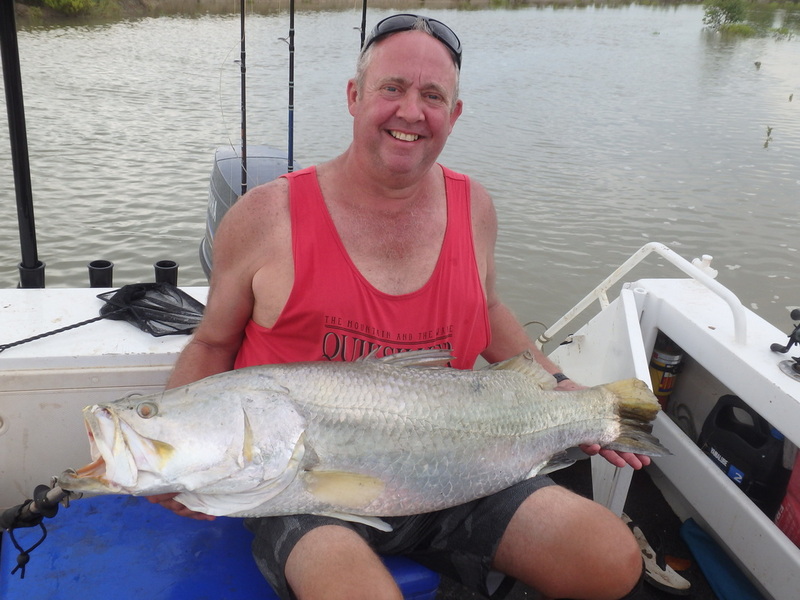 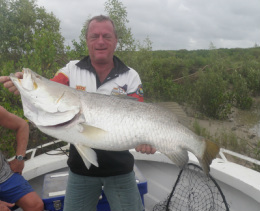 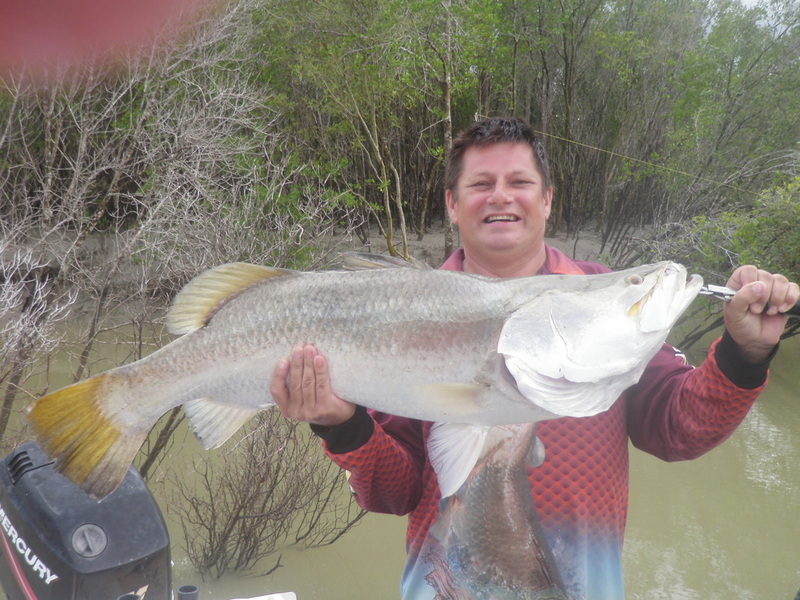 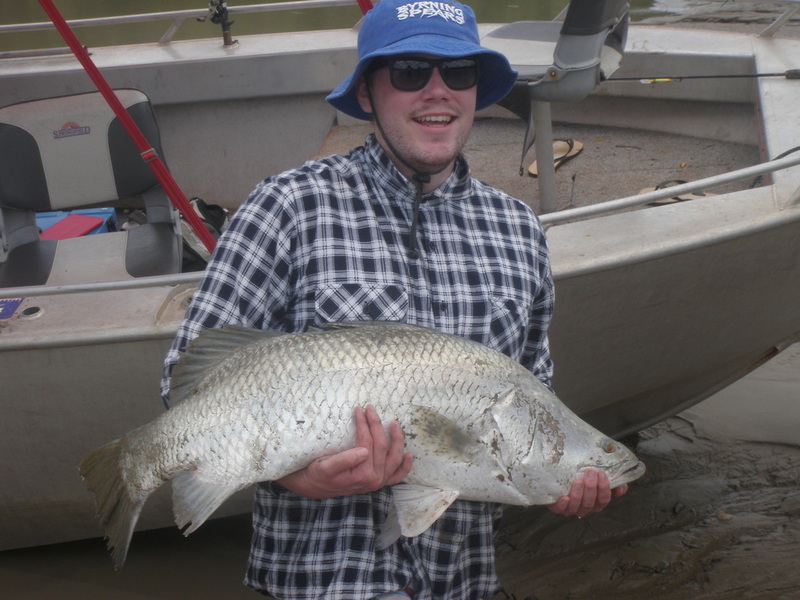 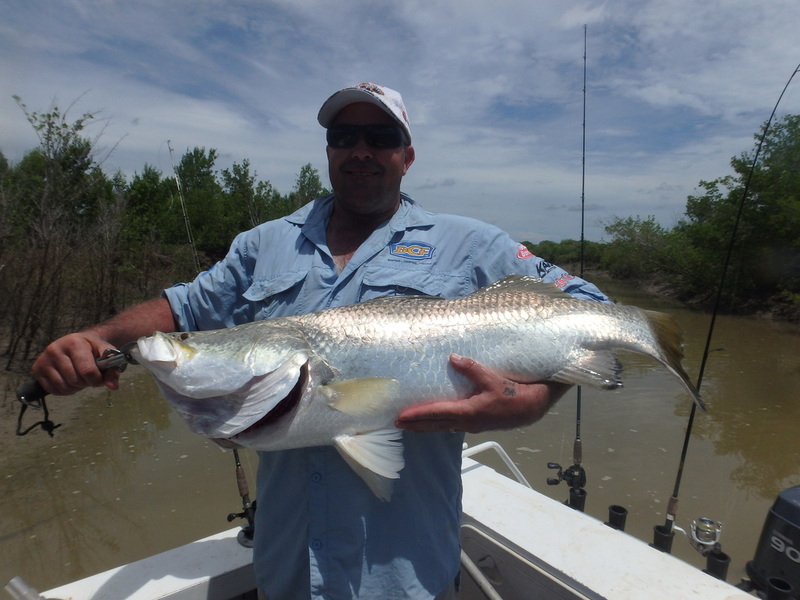 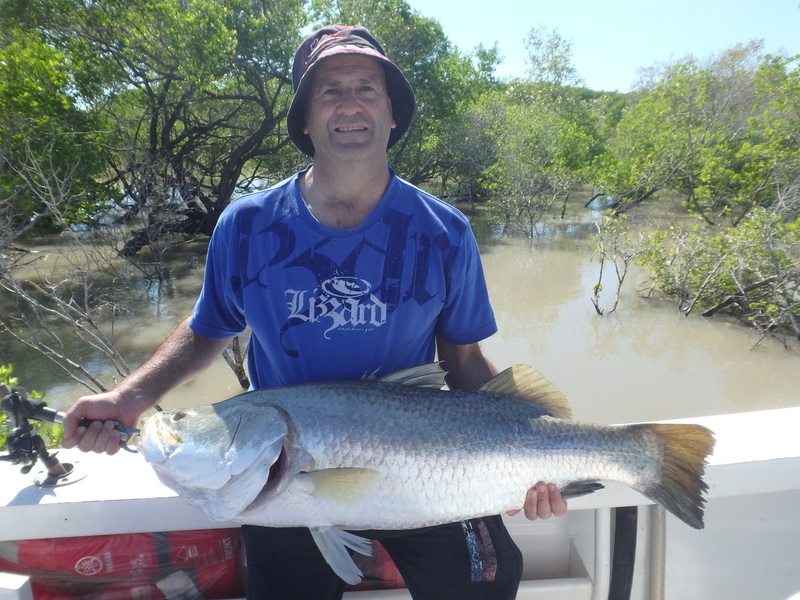 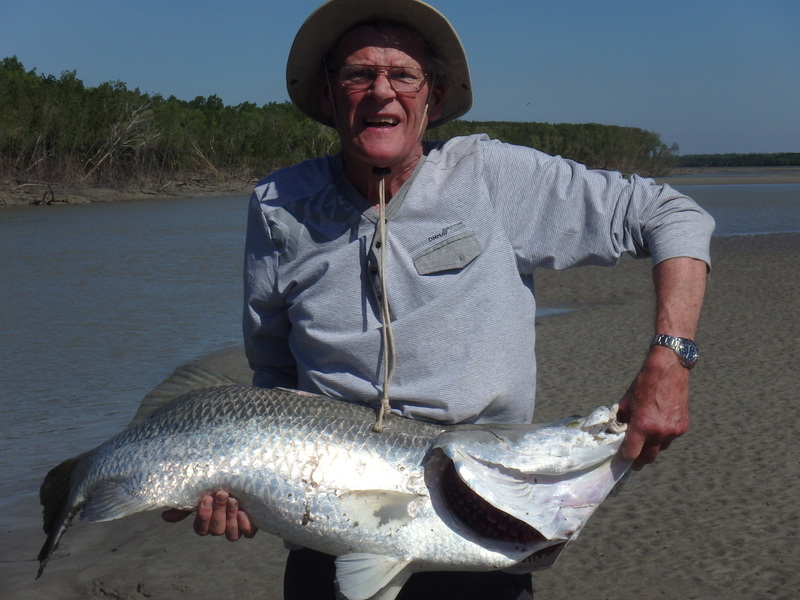 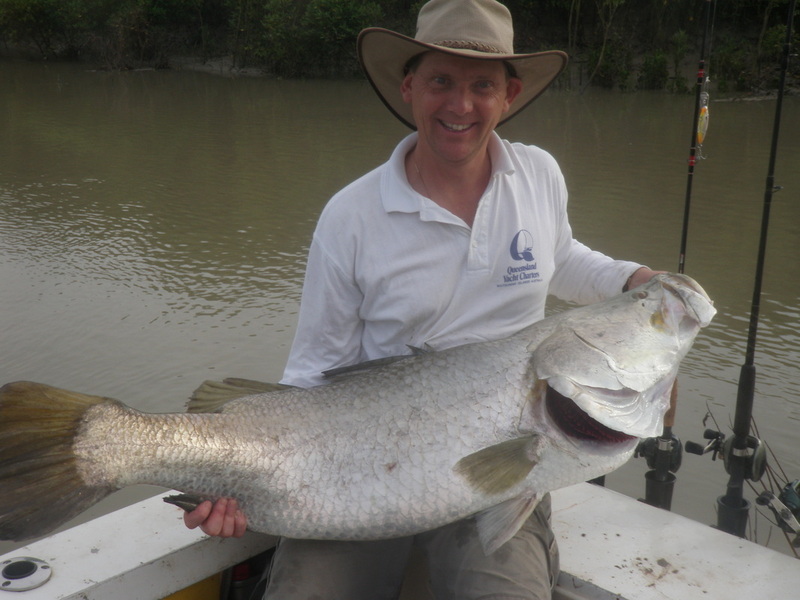 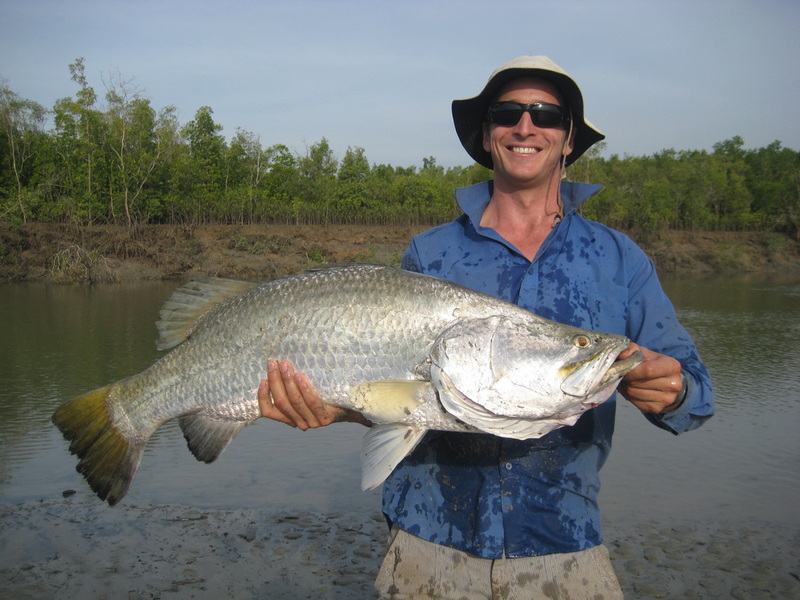 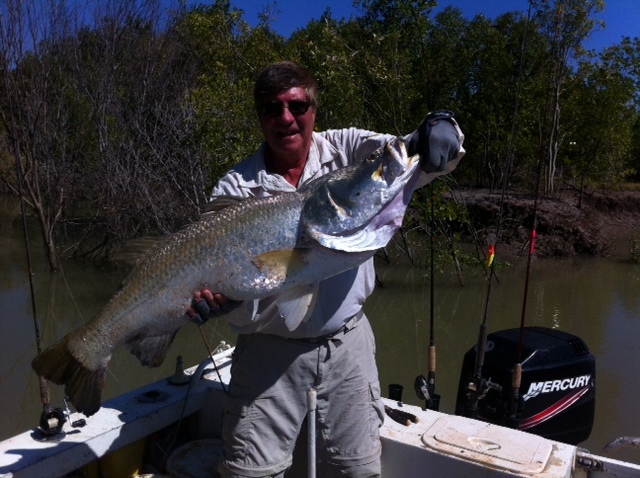 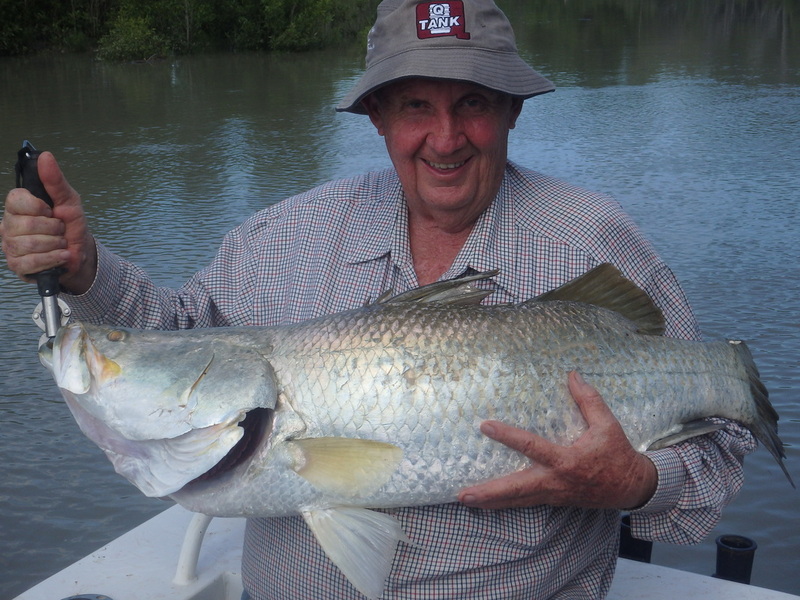 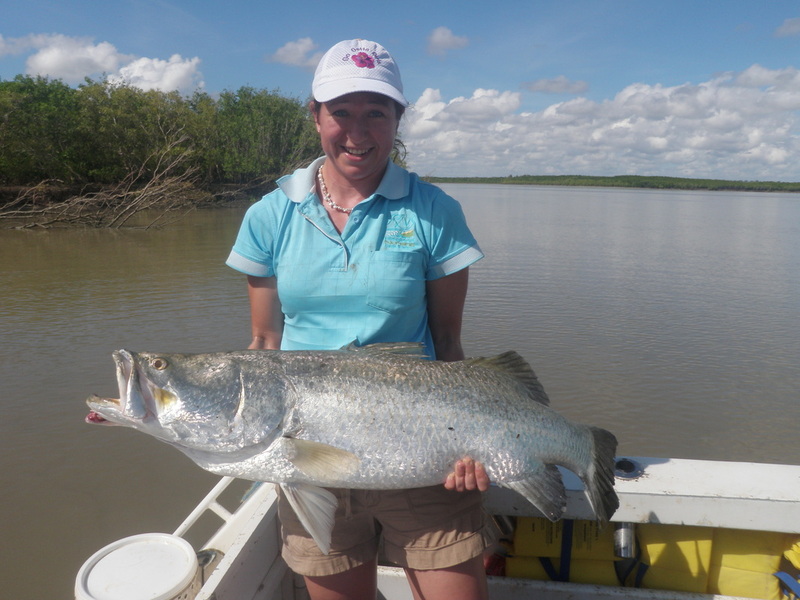 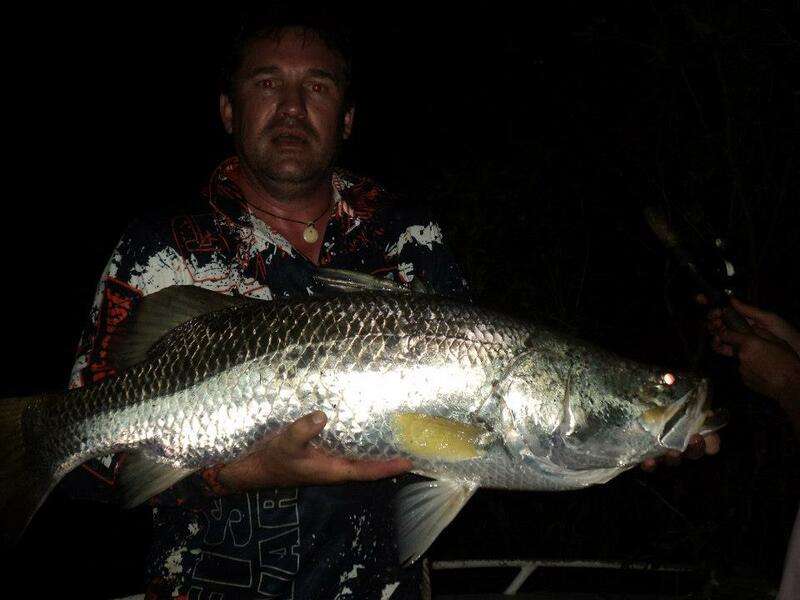 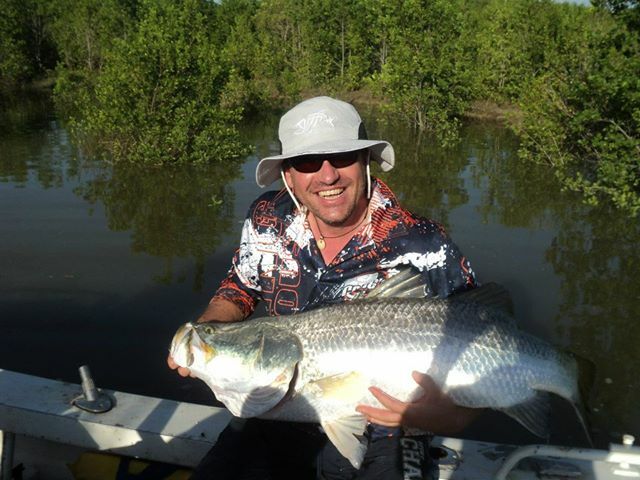 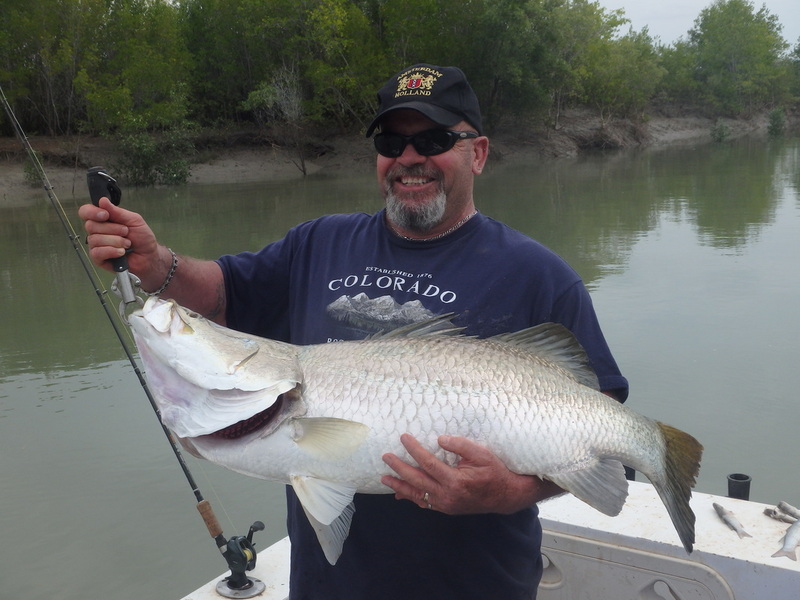 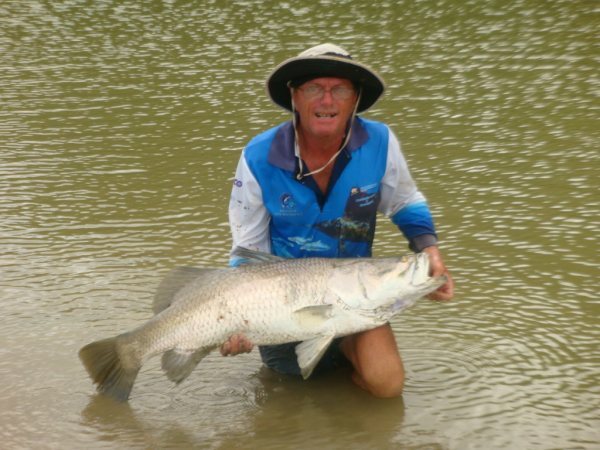 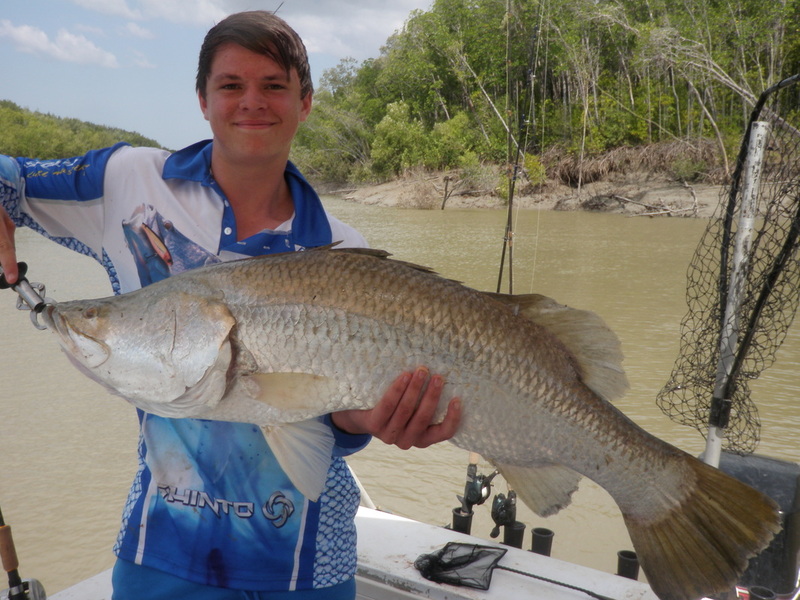 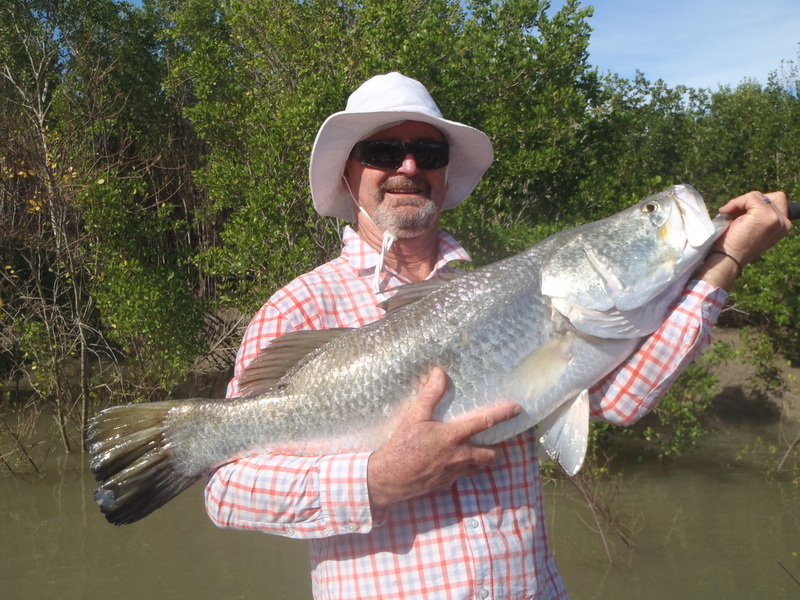 I took them up onto the flood plains of the Little Howard and Peter landed this 106cm fish. 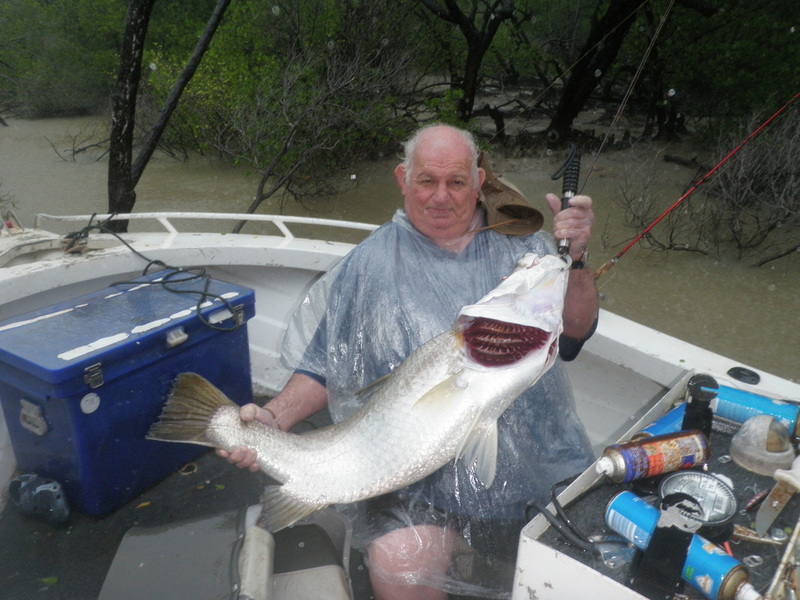 He was then happy that there other tour was cancelled. 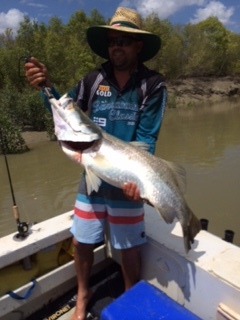 Rob Holman landed this 102cm fish in Hope inlet after some scorching runs and some awesome aerial displays. 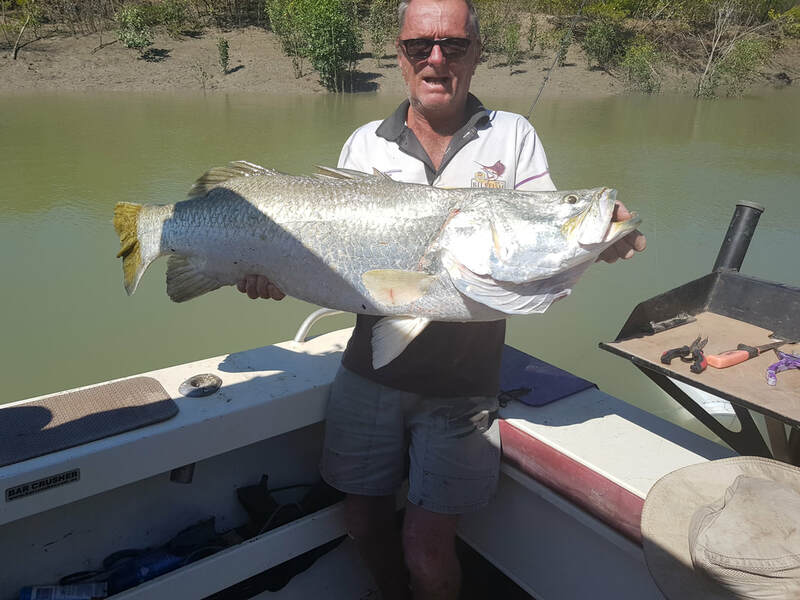 Kevin Wheelahan Joined the club with this solid 107 fish caught at the mouth of the Little Howard at low lide. 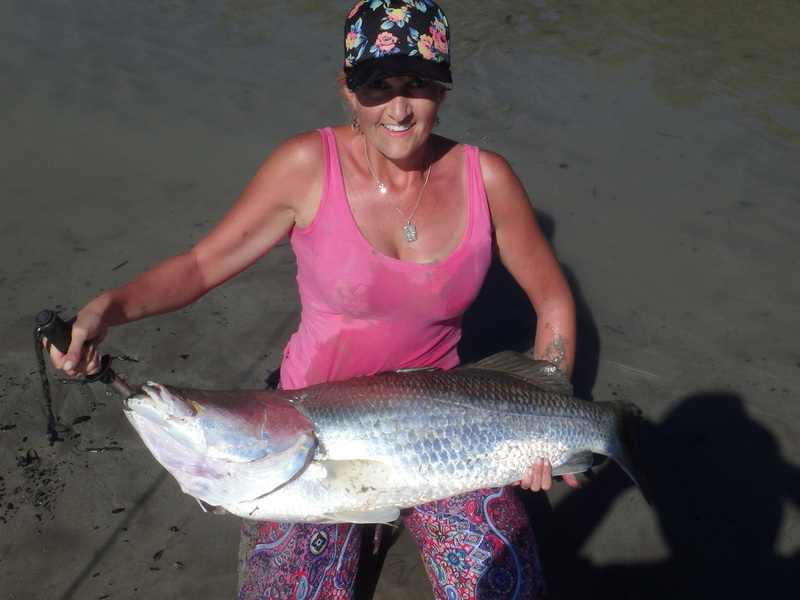 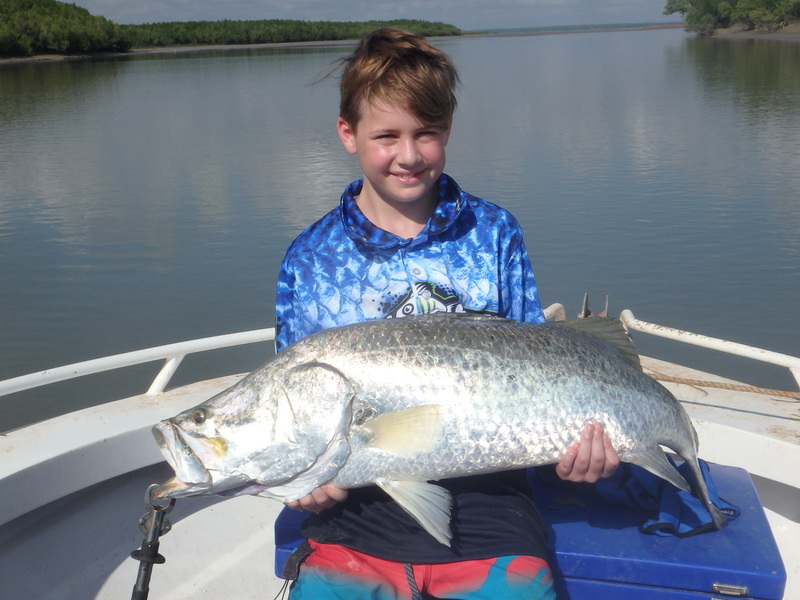 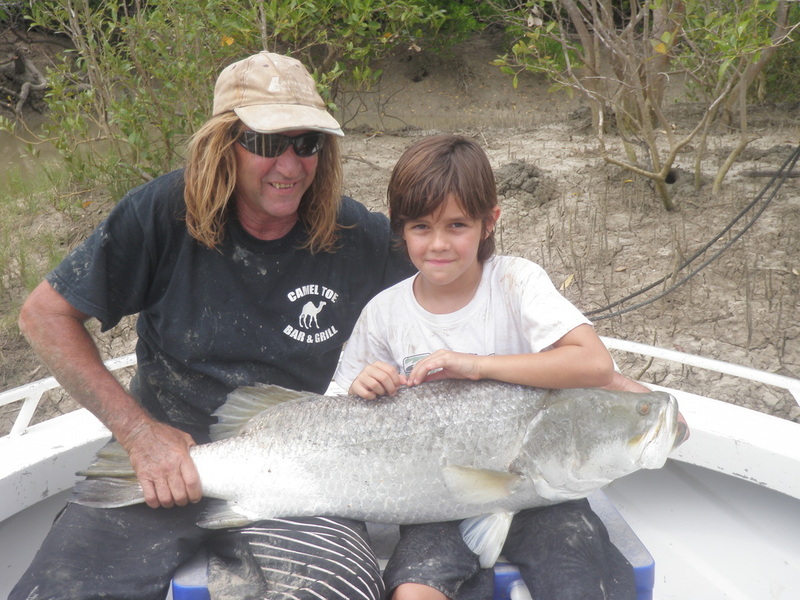 !4 year old Carl Scott from Victoria just scraped into the club with this 100cm fish taken at low tide on the Little Howard.